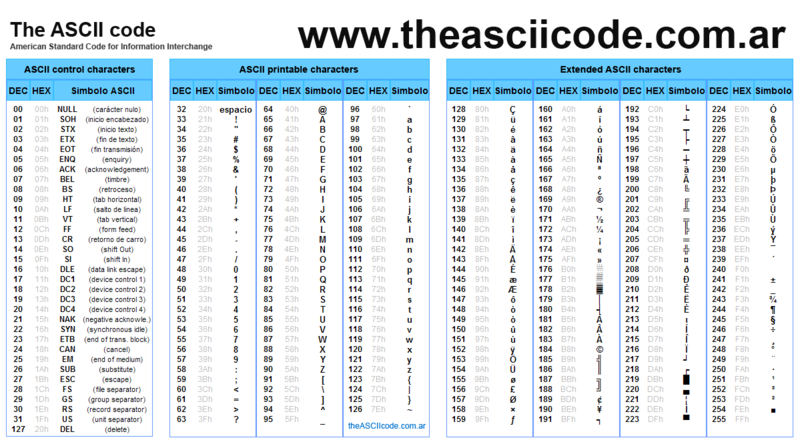 The complete table of ASCII characters, letters, codes, symbols and signs. Almost all computer systems today use the ASCII code to represent characters and texts. (114) . 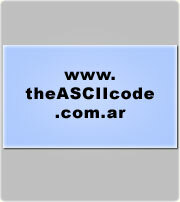 How to type or write The complete table of ASCII characters, codes, symbols and signs ascii, ascii art, ascii table, code ascii, ascii character, ascii text, ascii chart, ascii characters, ascii codes, characters, codes, tables, symbols, list, alt, keys, keyboard, spelling, control, printable, extended, letters, epistles, handwriting, scripts, lettering, majuscules, capitals, minuscules, lower, case, small, acute, accent, sharp, engrave, diaresis, circumflex, tilde, cedilla, anillo, circlet, eñe, enie, arroba, pound, sterling, cent, type, write, spell, spanish, english, notebooks, laptops, ascii, asci, asccii, asqui, askii, aski, aschi, aschii, (116) .